We have said it and repeated until the nausea, and now it is a concept as well-known and obvious as to rival the discovery of hot water: one of the main features of Android is its very high flexibility. Everything is customizable, everything can be replaced. Sometimes there is a bit ‘of malice, you have to be an expert geek; but for the most part, just know the right apps. This is the case of keyboards, text messages and launchers; and also the camera, as we’ll see below. Yeah, but for what purpose? Installing a third-party camera app is not just a matter of simple aesthetics: although your hardware does not change, several software optimizations can make a big difference compared to the system app. In general, it is also a matter of having more manual controls, more possibilities to do particular things, as happens in SLRs. In short, stuff for fans; but the results are seen. Those looking for a complete camera software, full of options and filters, effects and interesting masks. If you are willing to spend some money (take advantage of it now, which is on sale) for quality software, Camera Zoom FX will only give you great satisfaction. It is complete, full of options and parameters that will satisfy even the most demanding. It can be used as a main camera – even by pressing the dedicated camera button, if your device has it – but also as a post-processing tool. It’s easy to use, but we recommend a device with a processor – especially when applying effects and graphics filters. Experienced and capable users who are looking for more manual control over the camera of their mobile device. In short, a very complete software, limited only by the technical specifications of the sensor of our device: unfortunately, some particularly sophisticated features (choice of ISO, over-exposure range) are not available for everyone. Beta tester. Do not even try it, if you do not care to contribute to the development with feedback and information. Focal was part of the Cyanogenmod project, until it became a real company. You understand immediately, after five minutes of use: the philosophy of expanding the functionality of Android “pure”, but still trying to keep the ease of use high, is unequivocal. Once stable, this app will delight photographers, with its many parameters to adjust, its advanced features and its intelligent interface. But only when it is stable: the beta phase available now is unsuitable for everyday use. Too many bugs, too many incomplete functions. We wait and hope, with patience. Those looking for a professional camera, devoted to the “technical” optimization of the image rather than the artistic aspect. 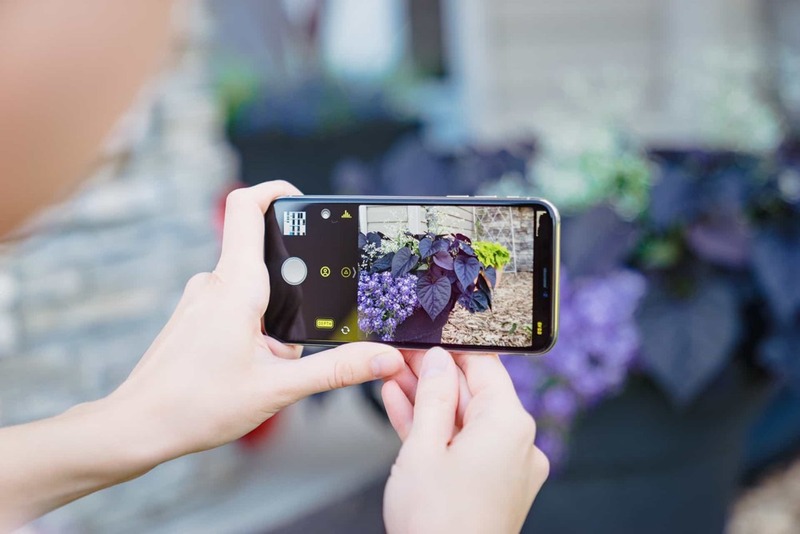 The Perfectly Clear camera mode follows the general philosophy of the app: forget about the “artistic” aspect of photography (filters, blurring, frames and so on) to concentrate on a more difficult task: to help us get the best photos possible with our smartphone. So we have a complete selection of grids and aids for framing, complete with a level / inclinometer to have the device always straight, the digital stabilizer and three modes of autofocus. All this combined with four shooting modes, beyond the normal: burst, HDR, automatic recognition of the smile and panorama (more effective than that by Google). The only pity is that it is not always replaceable in all respects to the system camera – for example, it cannot be launched from the lock screen. Who is oriented more to the artistic side of photography than to the technical one? 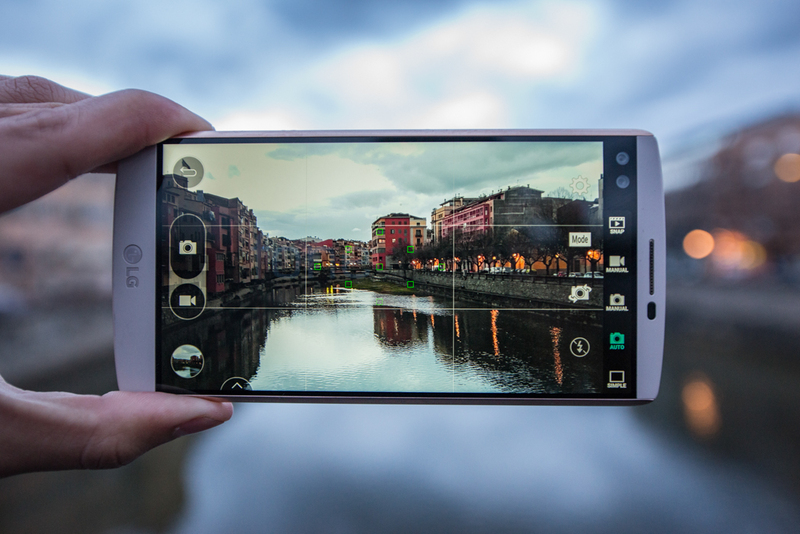 Cymera’s camera mode has a few different functions, which will appeal to fans of vintage photography. For starters, you can choose between different types of lenses: widescreen, fish-eye, and various burst modes with two or four photos. Then he has an artificial blur tool, like Instagram’s Tilt-Shift, which can only be applied during post-processing. And the rest is all in order: timer, flash, help composition grid with third party rule, optional tap-to-focus, and virtual image stabilizer. The word is missing only a panoramic mode that does not make us regret the PhotoSphere. Everything else – gallery, photo editing suite – already satisfies us.